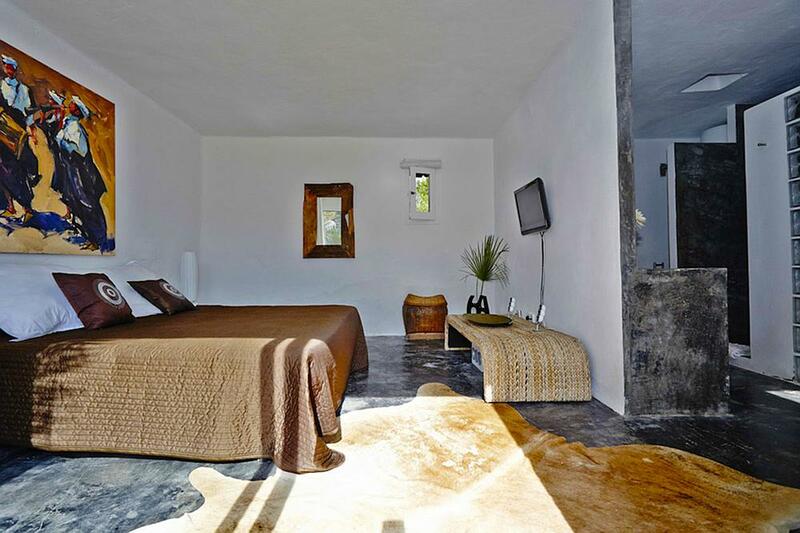 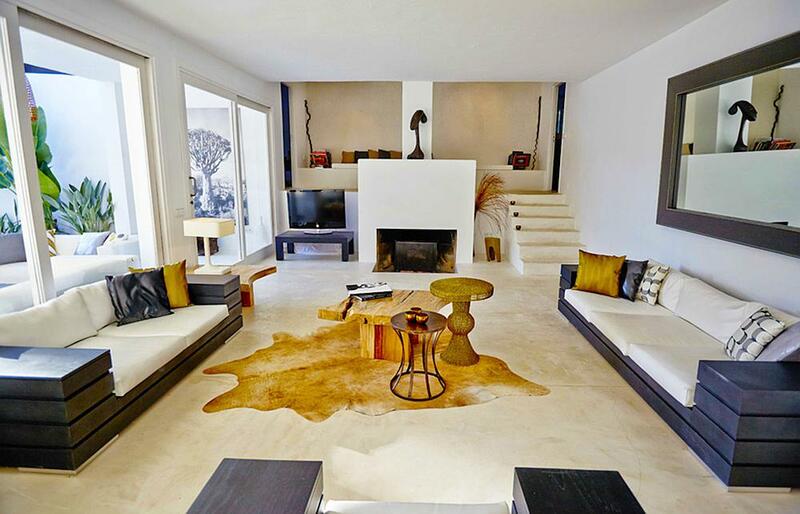 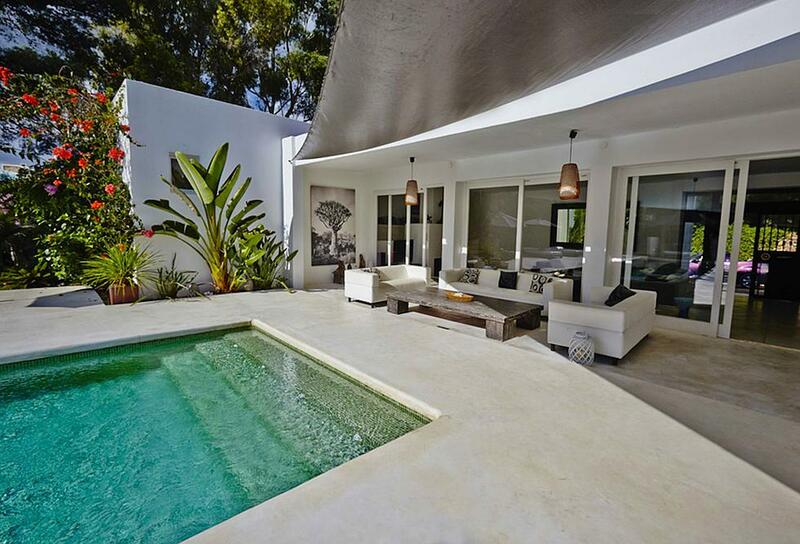 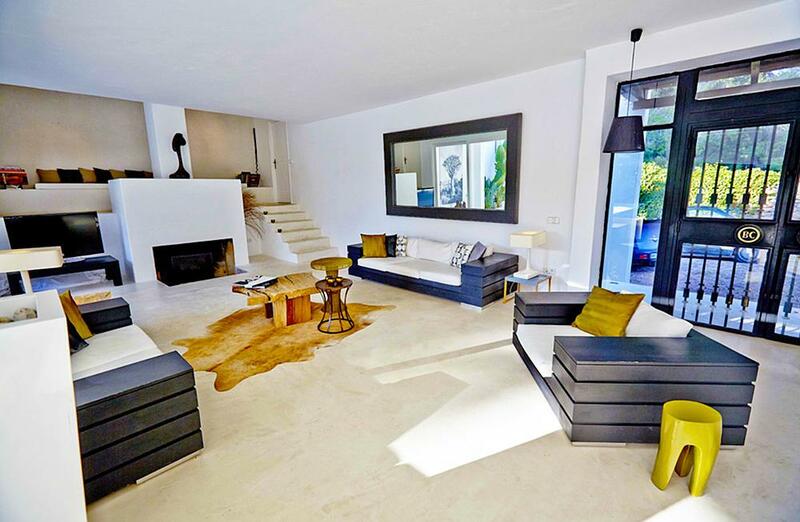 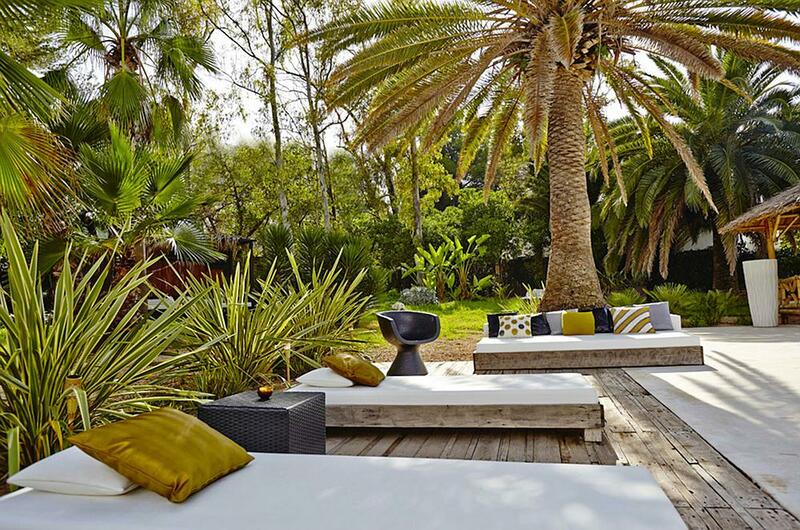 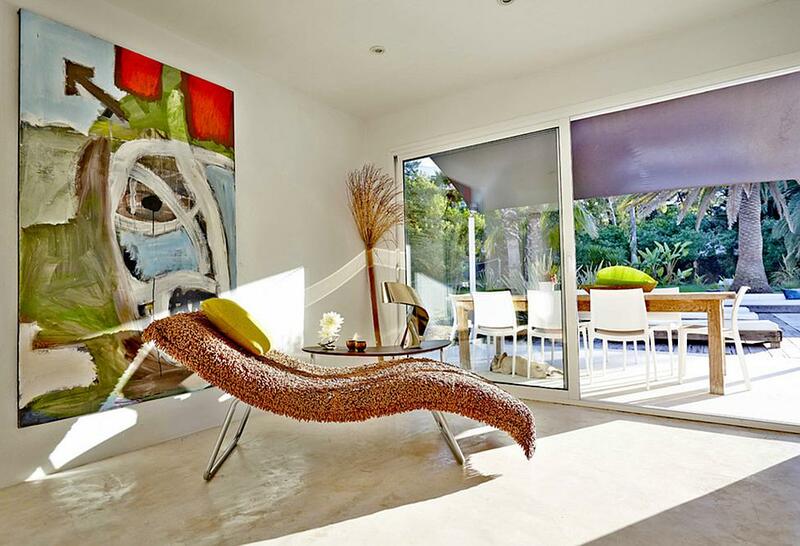 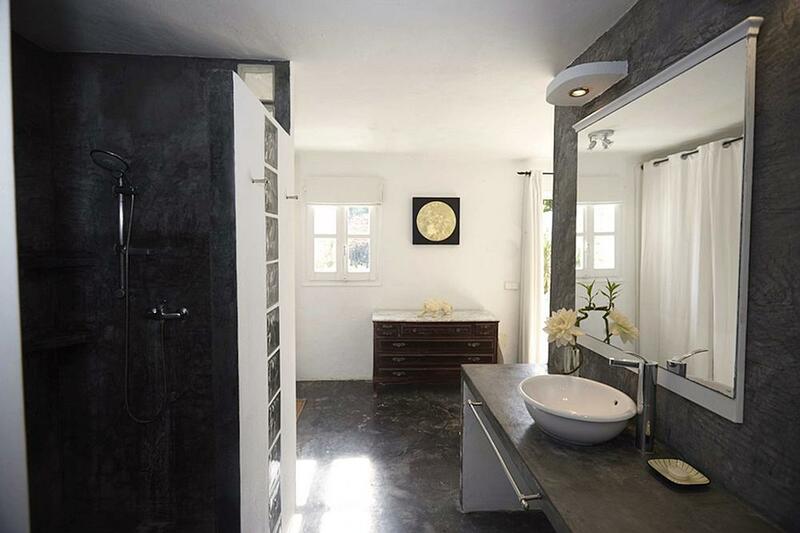 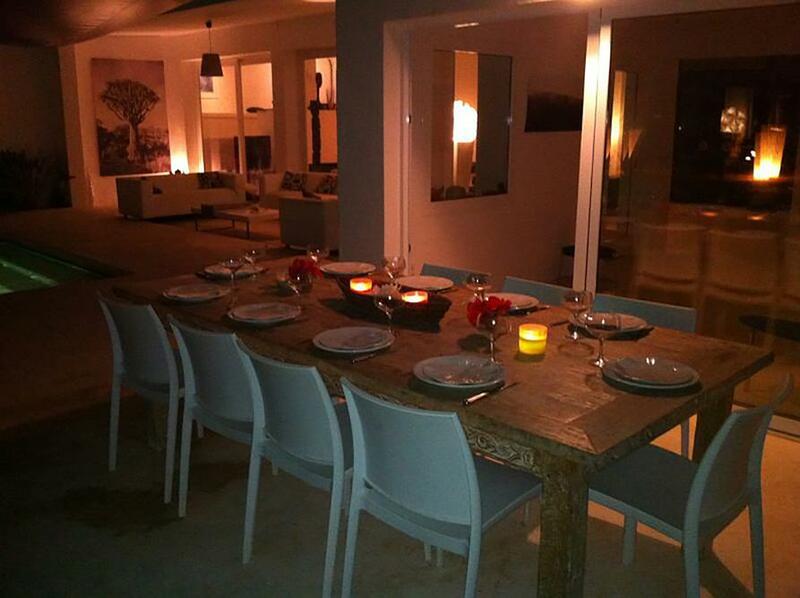 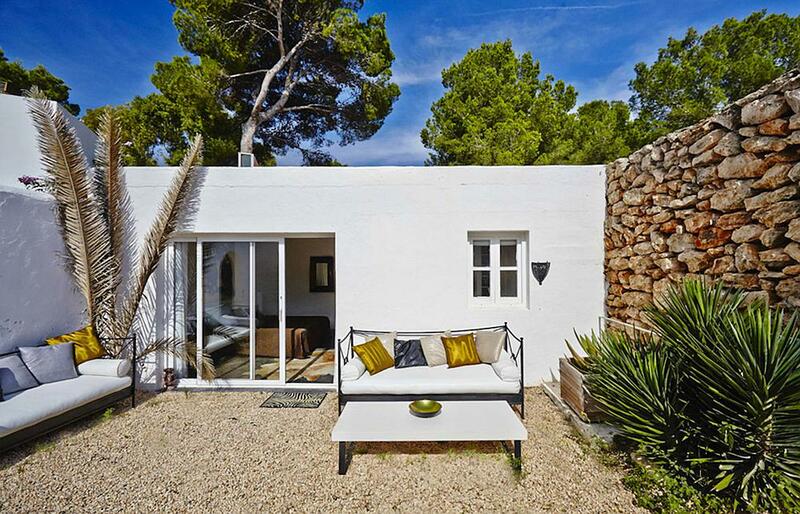 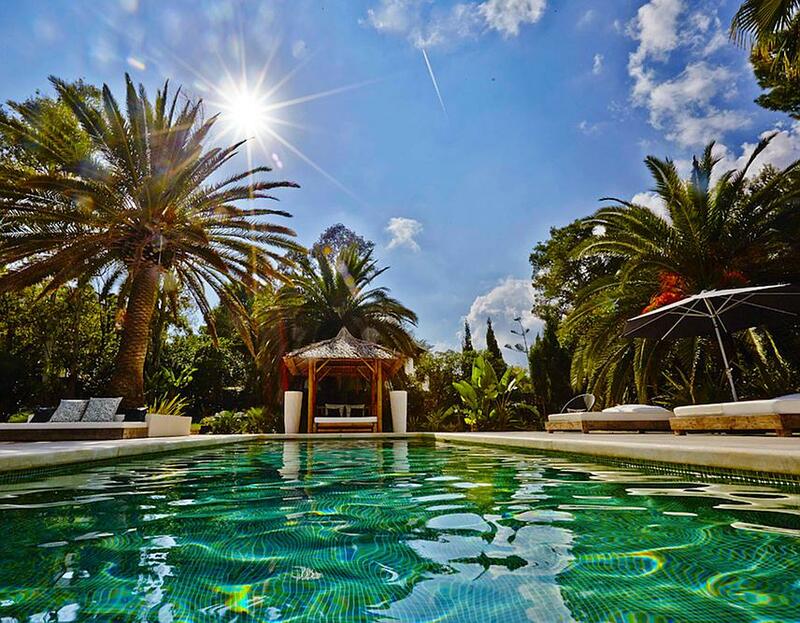 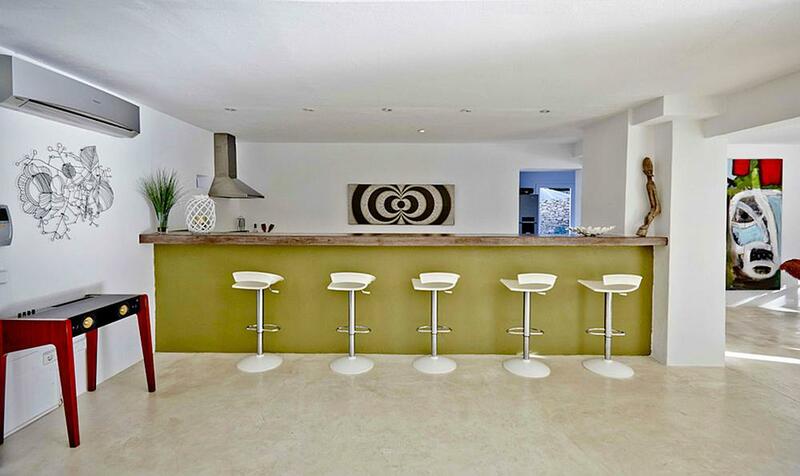 This property is a lovely combination of bohemian Ibizencan chic in a minimal setting with exotic, natural touches. 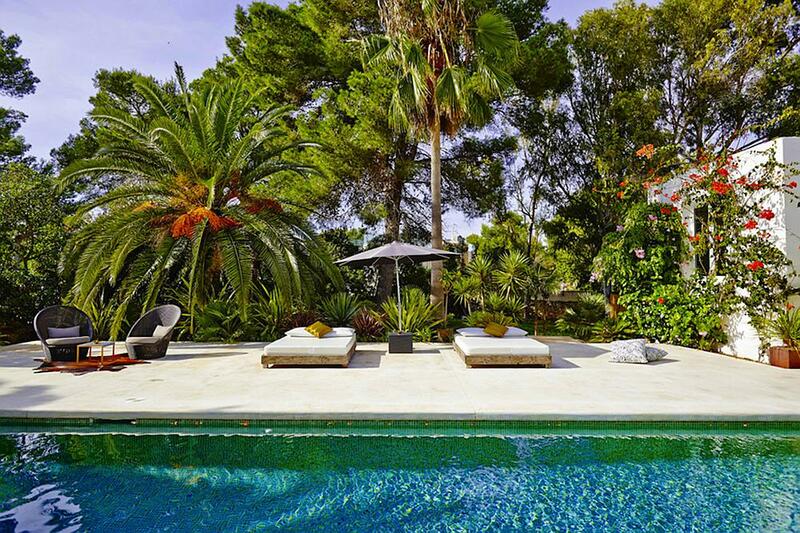 The villa which has a total living surface of 420 m2 is situated in a gated residential area with a 24 hour security service which is set in 3000 m2 of grounds. 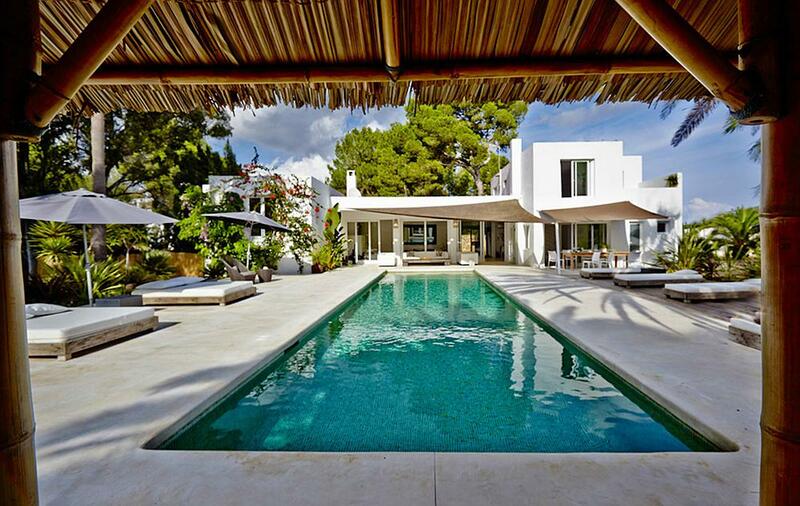 OUTDOOR AREAS There is a beautiful swimming pool area (17 metre long pool) and a great garden for playing and space to run around. 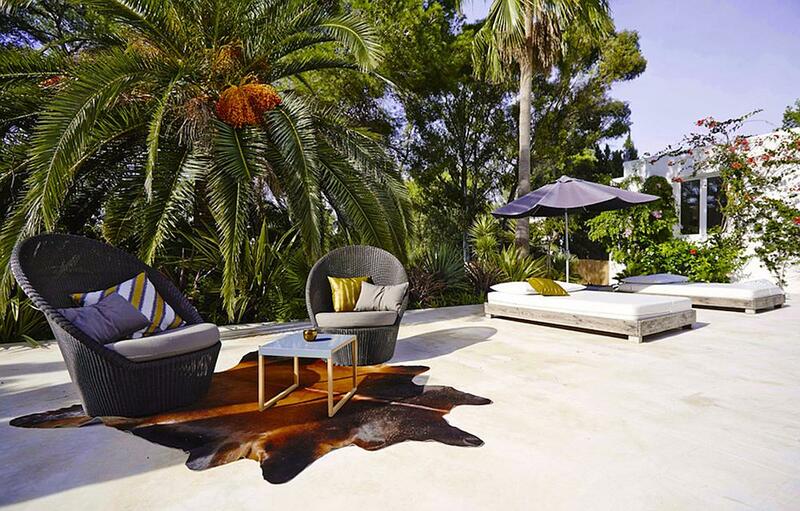 For relaxation there are plenty of sun loungers, day-beds, a dining-area with BBQ and outdoor chill out sofas next to the pool. 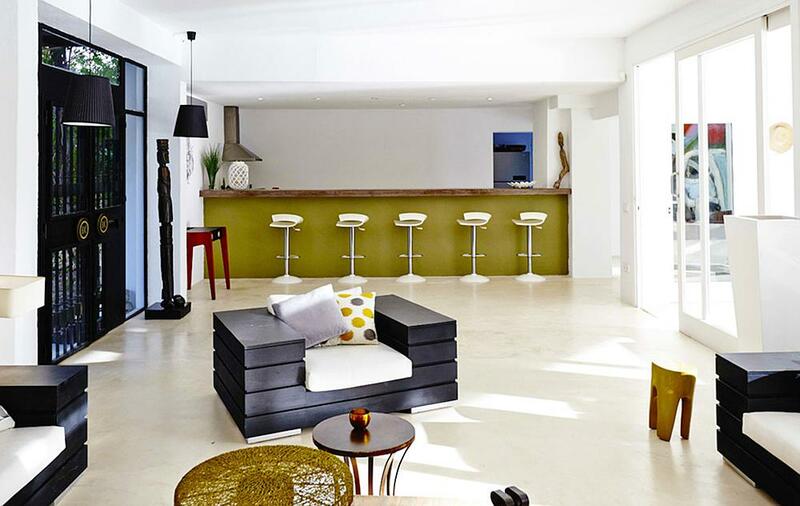 LIVING AREAS Inside the villa impresses with its immense open plan living and dining area, naturally lit by huge sliding windows and offering various lounge levels, with plasma TV, DVD system, home music system and WiFi can be accessed throughout. 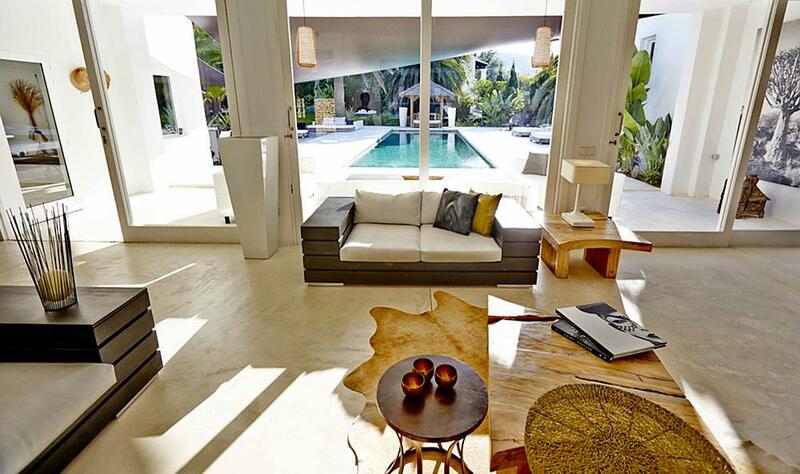 The living area opens out onto the pool terrace, which undoubtedly is the centre piece of the property with its double Balinese sun loungers and beautiful gardens. 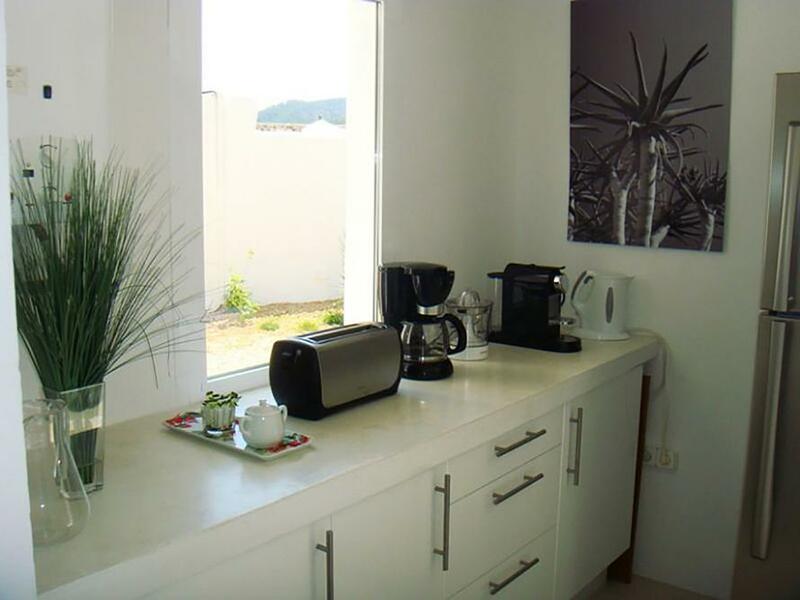 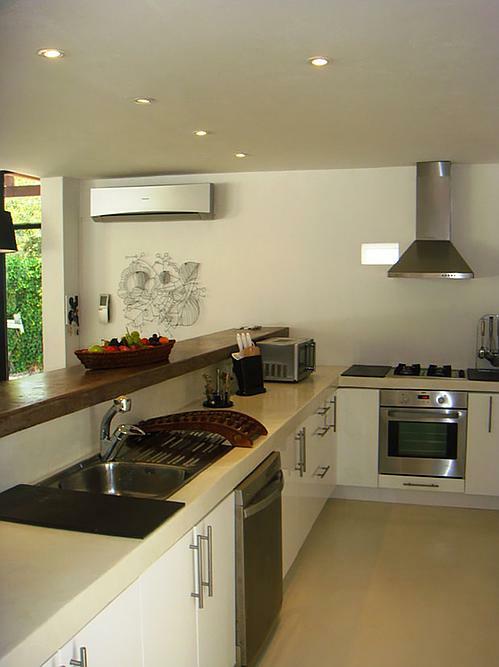 There is a modern fully equipped kitchen with all modern appliances and plenty of space for storage. 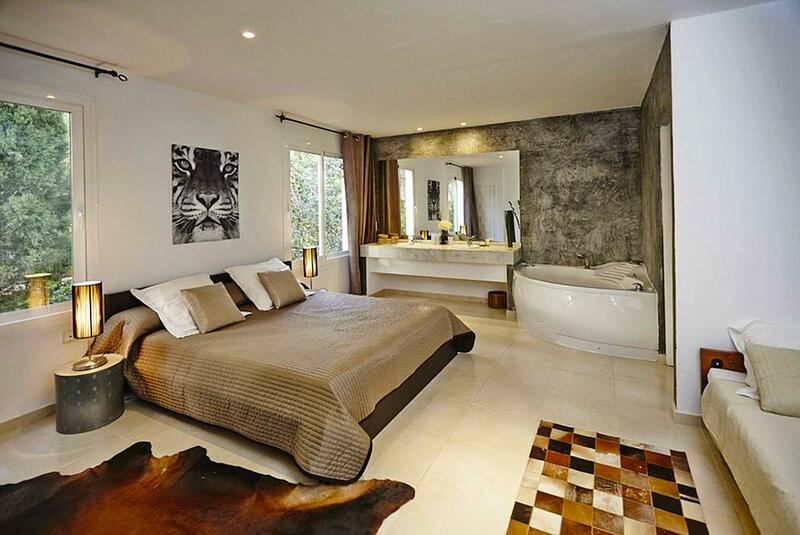 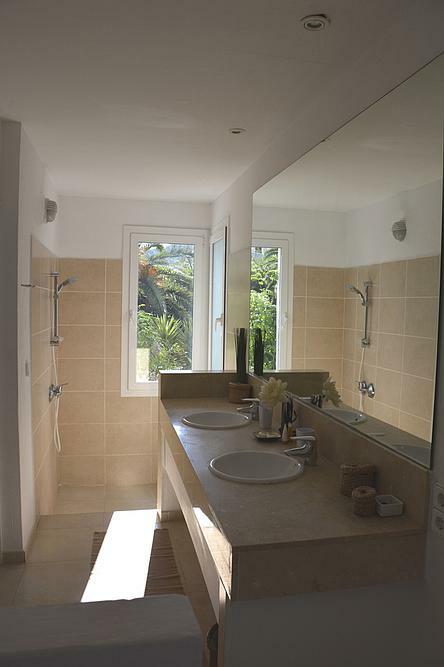 All areas have been beautifully furnished and decorated, all bedrooms and lounge areas are fully air conditioned. 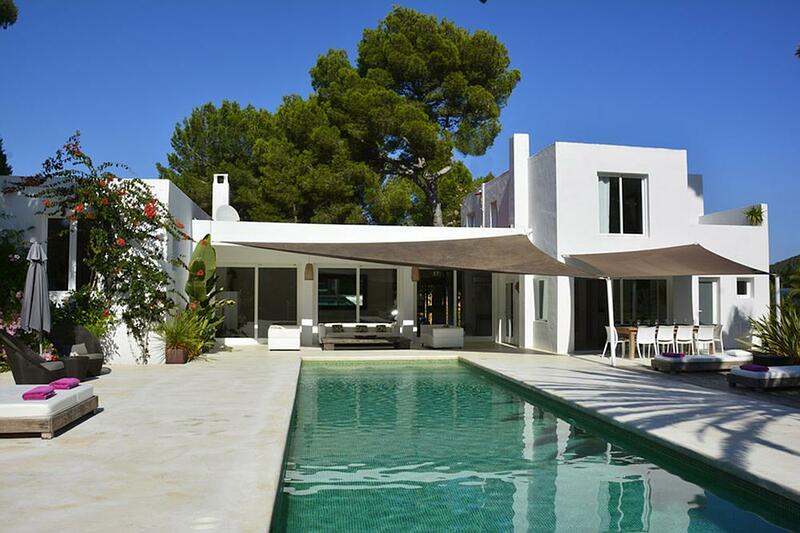 The villa which has a total living surface of 420 m2 is situated in a gated residential area with a 24 hour security service which is set in 3000 m2 of grounds. 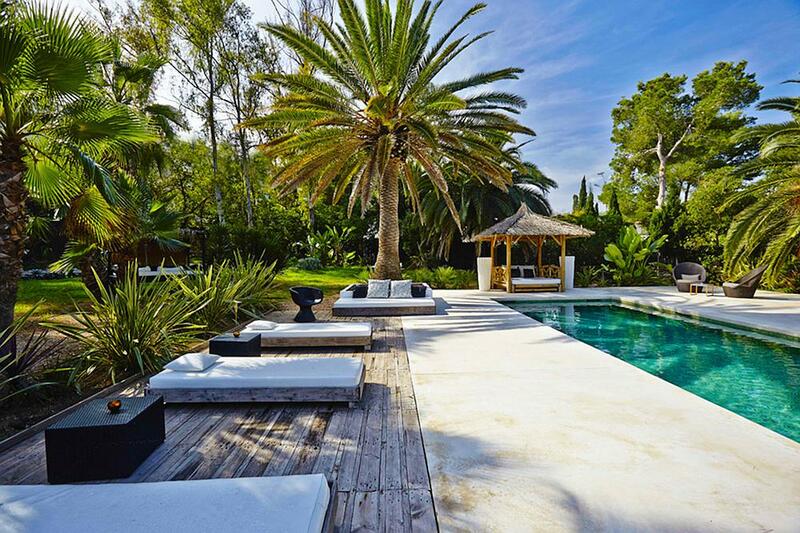 OUTDOOR AREAS There is a beautiful swimming pool area (17 metre long pool) and a great garden for playing and space to run around. 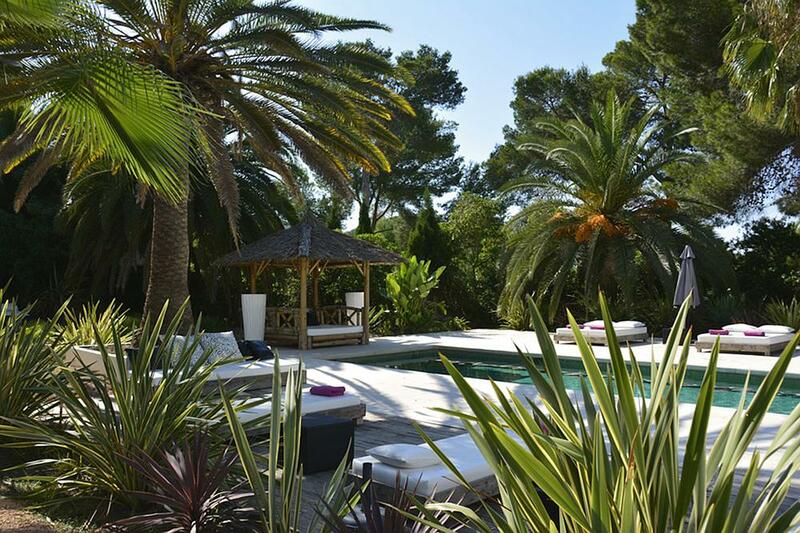 For relaxation there are plenty of sun loungers, day-beds, a dining-area with BBQ and outdoor chill out sofas next to the pool. 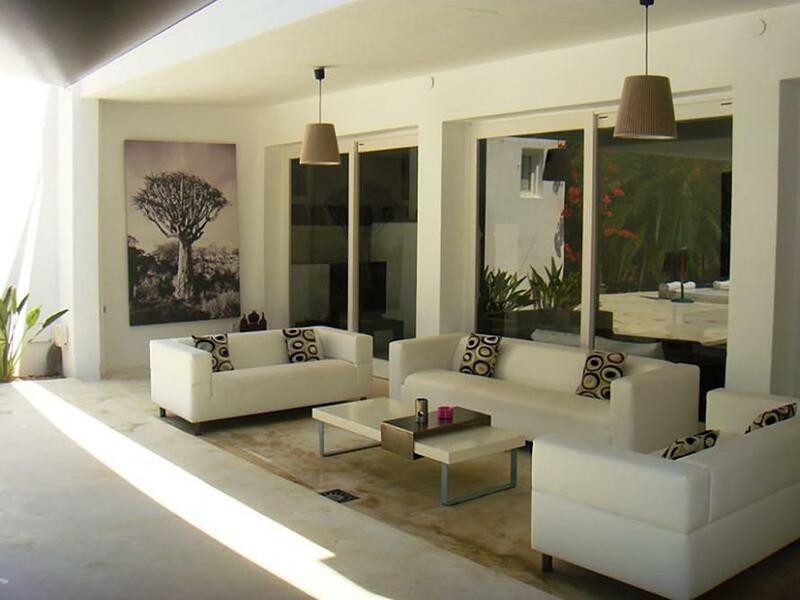 LIVING AREAS Inside the villa impresses with its immense open plan living and dining area, naturally lit by huge sliding windows and offering various lounge levels, with plasma TV, DVD system, home music system and WiFi can be accessed throughout. 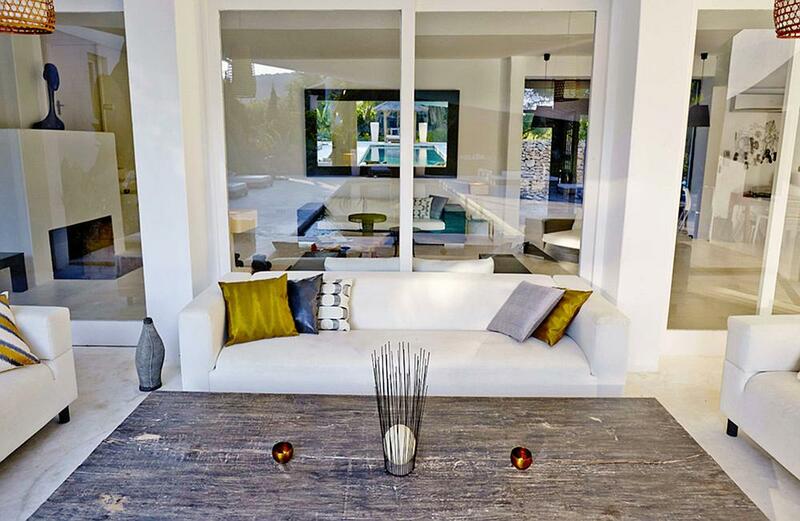 The living area opens out onto the pool terrace, which undoubtedly is the centre piece of the property with its double Balinese sun loungers and beautiful gardens. 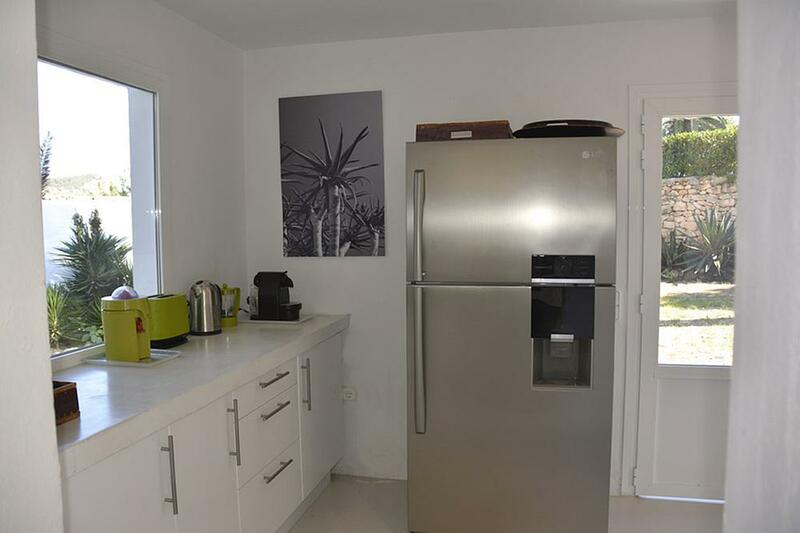 There is a modern fully equipped kitchen with all modern appliances and plenty of space for storage. 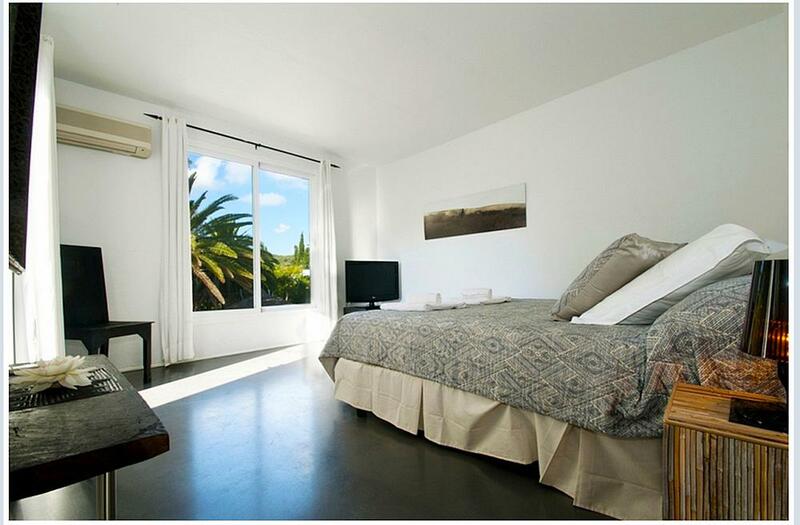 All areas have been beautifully furnished and decorated, all bedrooms and lounge areas are fully air conditioned.